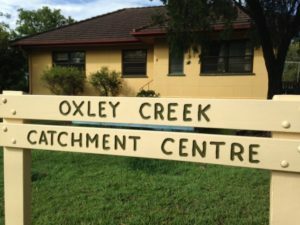 To protect and enhance the natural environment and resources of the catchment of Oxley Creek by partnering, advocating, educating and participating in catchment management. Educate the community of residents, businesses, public institutions (including schools) and governments in the sustainable land-use and conservation practices needed in the catchment, recognising the interactions between land, waterways, vegetation and wildlife. In 1995, some members of the Oxley Creek Environment Group Inc. and the Australian Marine Conservation Society Inc. approached the Brisbane River Management Group (then part of the Department of Environment) to establish an Integrated Catchment Management (ICM) program in the Oxley Creek catchment and permission was granted to trial a pilot urban ICM structure. The Brisbane River Management Group (now Healthy Waterways) applied for and received Commonwealth funding to establish a Catchment Coordinating Committee, led by a Catchment Coordinator, and to facilitate the organisation and development of plans for the catchment. 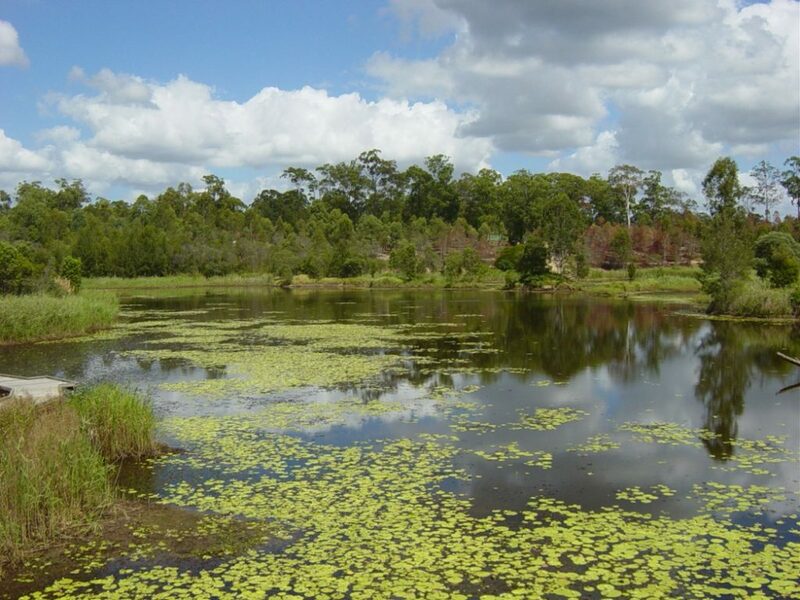 This grant enabled the Committee to commission a “State of the Oxley Creek Catchment Report and Water and Land-Use Impact and Management Analysis” with the support of BRMG, BCC, Logan City Council and Beaudesert Shire Council. This was then followed by intensive consultation and planning culminating in the release of the Oxley Creek Catchment Management Plan early in 1999. Implementation of that Plan along with derived Action Plans has proceeded, and an Audit detailing programs which could fulfil the objectives outlined in each of the Catchment Management Units is in draft form. Four Interest Groups for Biodiversity, Water, Land Use and People and Communities formed in 2007, and for some years this model brought policy ideas to the Management Committee. Since 2009, OCCA General Meetings held bimonthly have been used as the vehicle through which ideas for the betterment of the catchment have been proposed and discussed. Initially, the Association was located in State Government offices in Brisbane city centre but in September 1999, the Association moved to offices in the catchment, firstly at the Department of Primary Industries Rocklea Research Farm, and in May 2001, into rooms generously provided by the Brisbane Markets Corporation, later the Brisbane Markets Limited. In 2014 OCCA was offered the use of a house in Coopers Plains in an area being developed by Consolidated Properties Group Pty Ltd. The Letter of Agreement was signed in early 2015 and in August 2015 OCCA moved into 9 Macdevitt Street, Coopers Plains. At last OCCA had its very own Catchment Centre – a free-standing house and surrounding land. This has enabled OCCA to fulfil a long-standing aim – to bring our office, nursery and Biodiversity Services together in a single location. Our grateful thanks go to Lachlan Grantley and Consolidated Properties Group for providing the house and land. OCCA has established alliances with organisations with a similar focus. These include the Brisbane Catchments Network, SEQ Catchments, Healthy Waterways, and our neighbours in Wolston and Centenary Catchments. 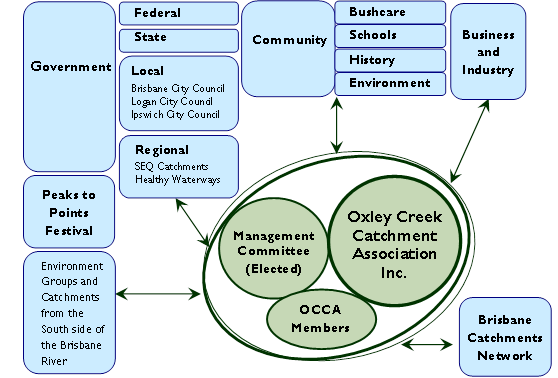 OCCA also works with Brisbane, Logan and Ipswich local governments through the Oxley Creek Taskforce and the Planning Reference Group in Brisbane City Council, the Natural Environmental Communication Forum established by Logan City Council, and is working with Ipswich City Council in the Oxley Creek – Bremer River Twinning Project.